The Federal Trade Commission’s Northeast Regional Office organized the press event, which highlighted the most egregious frauds plaguing New York residents and featured scam avoidance tips from the Better Business Bureau Serving Metropolitan New York, United States Postal Inspection Service, New York Attorney General’s Office, New York State Department of Financial Services, New York City Department of Consumer Affairs and AARP. Since the launch of the Loan Modification Scam Prevention Network complaint database in February 2010, more than 21,000 consumers have reported foreclosure rescue scams totaling over $60 million in lost money, more than doubling last year’s figures of 10,000 complaint reports and $27 million in lost money. Of this year’s total figures, over 1,100 complaints came from New York State consumers, with reported losses of over $4 million, also more than doubling last year’s total figures of 500 complaint reports totaling $2 million in lost money. 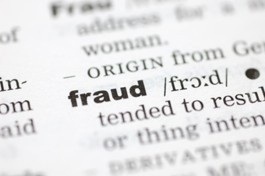 The Loan Modification Scam Prevention Network is comprised of the Federal Trade Commission, the Lawyers’ Committee, NeighborWorks America and dozens of national and local agencies and organizations from around the country, including Fannie Mae, Freddie Mac, the Homeownership Preservation Foundation, the U.S. Treasury Department and the U.S. Department of Housing and Urban Development. For more information, visit www.lawyerscommittee.org or www.nw.org.